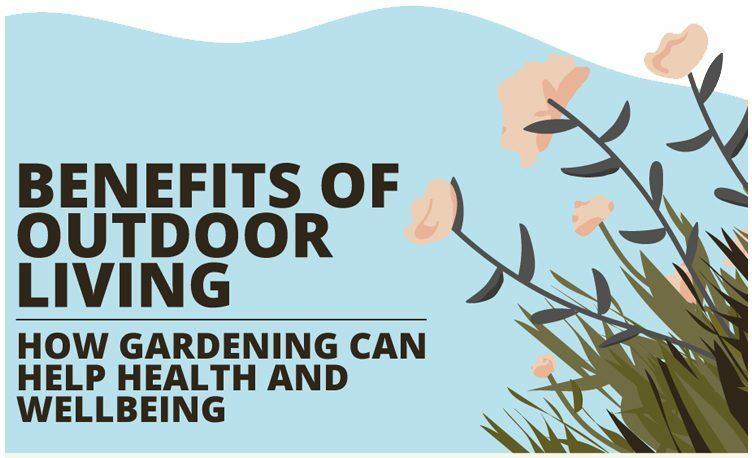 While a bit of weeding and pruning might not seem like the most energetic of activities, studies show that gardening goes beyond providing a good workout, as it can also be therapeutic and reduce anxiety as well as physical pain. Research has shown that prolonged light exercise, such as gardening, can burn more calories than a gym session, in spite of feeling much easier to do. This physical exercise, in combination with spending time outdoors being creative and productive, can also improve mood and self-esteem. Amazingly, images and recordings of natural environments alone have been proven to reduce feelings of pain and even improve healing times in hospital wards. The therapeutic value of gardening is becoming more and more recognised, according to the Royal Horticultural Society, which promoted the positive impact of horticulture and green spaces at the 2018 Chelsea Flower Show, with two Chelsea gardens pledged to NHS patients. It’s really important to find a place in your garden to enjoy its beauty and serenity. You can choose garden furniture to reflect your taste, making it an elegant and useful part of your living space. Whether it’s with al-fresco meals at a dining set, basking in the glorious sun on a lounger or enjoying some tranquillity with a good book on an outdoor sofa, take the time to relax in your outdoor space. Grow plants from seed either on your own or as a fun way to get children to experience the joys of gardening. The enjoyment you get is timeless, and people of all ages will not grow tired of seeing their seedlings germinate and then grow on in the garden. There’s nothing more exciting and rewarding than nurturing tasty fruit and vegetables to put on the kitchen table. Buying vegetable seeds and planting them with your children is an affordable and easy activity for the school holidays and teaches them how food is grown. By growing flora that attracts bees and butterflies, your garden will become a hive of activity. Plants from the Lamiaceae family, including lavender, rosemary and sage are best as they’re also low maintenance and easy to keep. For more useful advice, have a look at these handy tips on creating a feel-good garden from RHS award-winning designer Matt Keightley. Whether you have a lifetime of gardening experience or are just getting started, we’ve created a handy visual guide. From the physical health benefits to improved mental wellbeing, our guide covers the benefits of outdoor living across all age groups. The benefits of outdoor living don’t stop there either. Having created a beautiful garden, it can be enjoyed in many different ways, from enjoying a morning coffee on a comfy garden chair to hosting BBQs for friends and family.